Last weekend I partnered with MR PORTER to share what a typical weekend morning/early afternoon looks like for me. Since I bike everywhere I thought it would be super cool do a "NYC by Bike" tour where I showed you guys a few awesome spots by bike as well as some sick outfits for fall. I started around 9am and biked all around drinking coffee and stopping at a few spots for food (and of course ice cream ;) ). Started my morning at Happy Bones as usual... My go to is an iced cold brew as I've been trying to stay away from milk ATM. For being such a small coffeeshop I usually never have a problem finding a table. I do love people watching on the bench outside on a nice day though! I'm wearing a camel hair Saint Laurent sweater with Saint Laurent skinny jeans and Gucci sneakers (which I'm obsessed with). 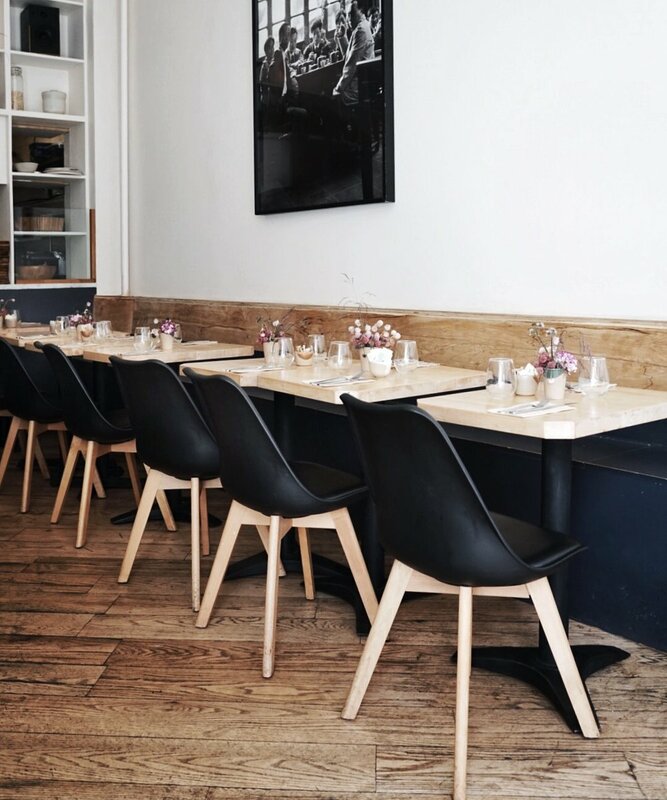 Probably my favorite breakfast spots in the city right now, L'estudio serves modern mediteranian food and is located in the Lower East Side. Everything from their Ricotta & orange skillet pancake with lemon-thyme syrup to their Arepas with jalapeno relish, avocado, cilantro and charred lime is incredible! Definitely checkout this spot next time you're in the area! 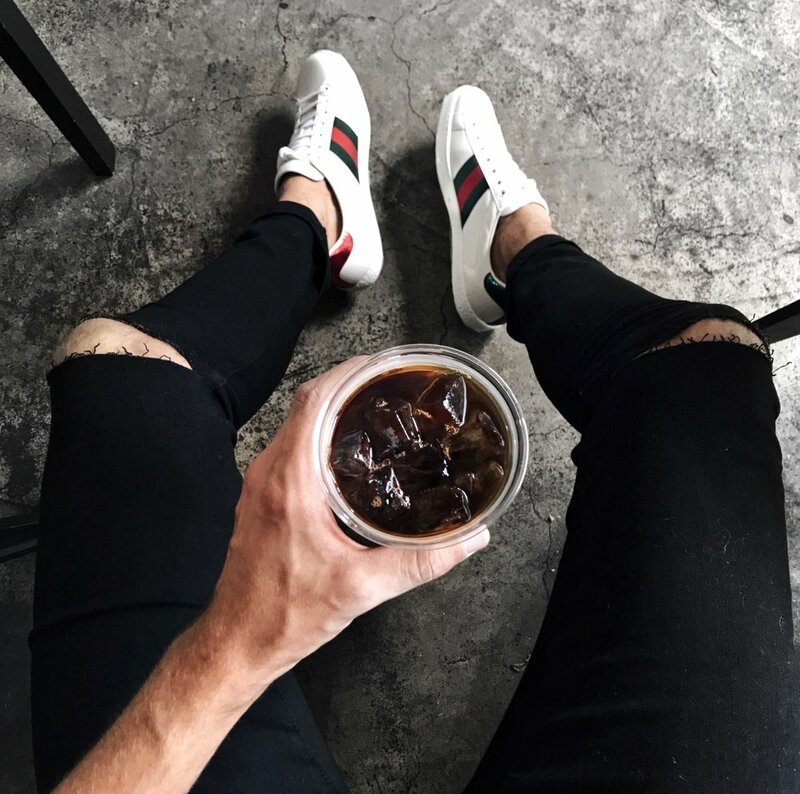 After grabbing breakfast, I did a quick outfit change and opted for a more casual look, going with a red plaid shirt from Saint Laurent and raw jeans from APC. 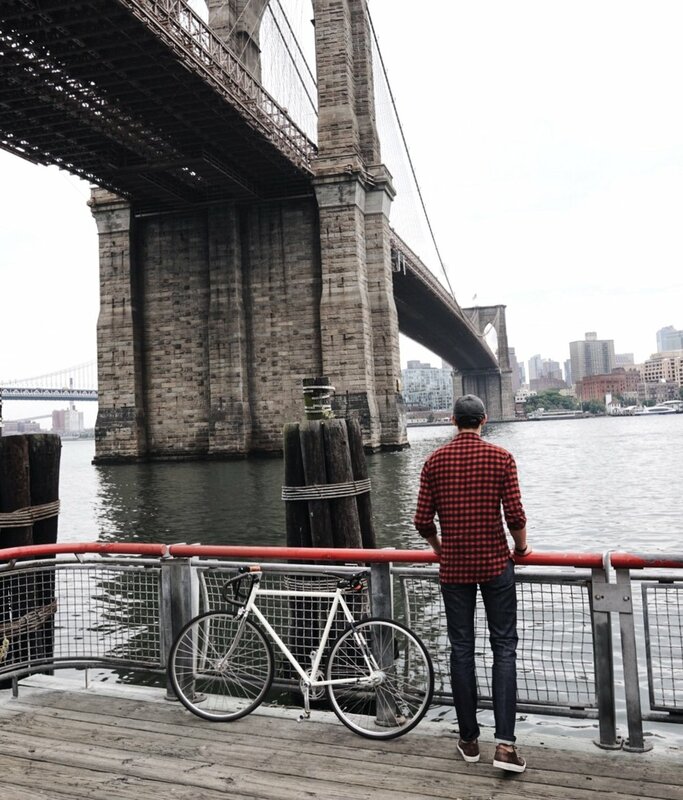 I then biked down the east river and went to one of my favorite viewpoints of the Brooklyn and Manhattan bridge. One of my favorite lunch spots in the west village is Cafe Clover. The space is super cute, they have a ton of outdoor seating (I'm obsessed with eating outside). Make sure you get the Crispy Cauliflower and the beet and mushroom vegan burger (I'm not vegan, but it's incredible). 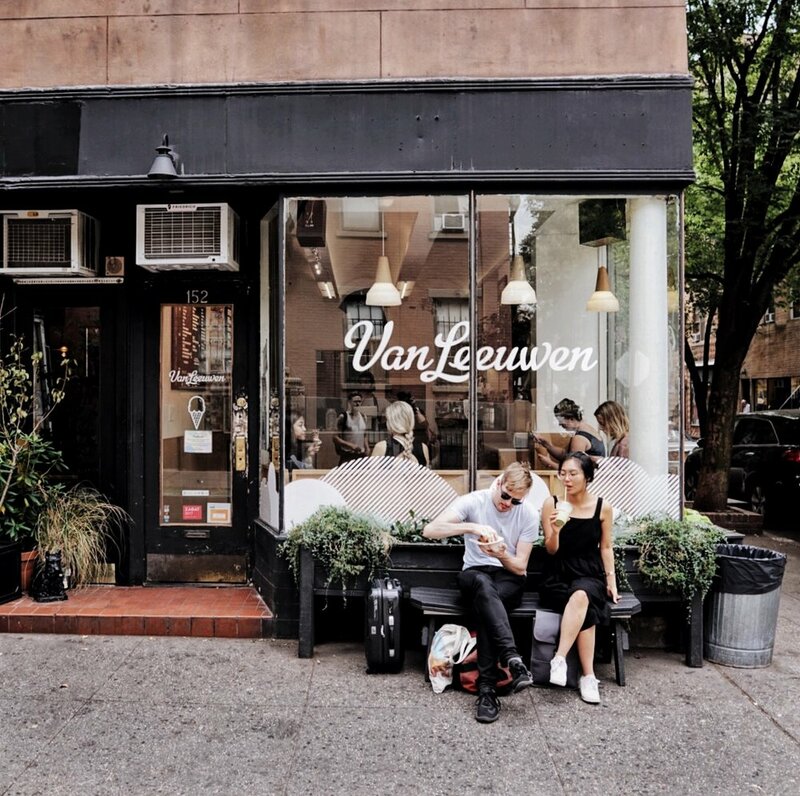 A weekend afternoon without ice cream is honestly such a waste so I stopped by Van Leewen in the west village before heading home (I'm one of those crazy people that still crave ice cream in the fall and winter). This is definitely one of my favorite ice cream shops in NYC. I love the honey comb flavor so much! Be sure to taste a few though before you decide on one!